A Bedding Industry Executive With 25 Years Of In The Trenches Experience Building Beds Gives You The Best Picks For Mattresses On Amazon…Don’t Get Ripped Off! You might already be aware that latex has taken the mattress industry by storm in recent years. The founder of this site was actually one of the largest online retailers of latex mattresses for years, and one of the first to pioneer the "bed in a box" method of shipment this extraordinary material. Known for its elastic, uplifting, buoyant sensation, and, if you are prone to feeling trapped in a mattress, and like the freedom of moving around a lot at night, or you are a restless sleeper, a latex bed is the closest thing you're going to find next to David Copperfield levitating you off of your mattress. We are very picky about who we recommend, but our list of Amazon retailers has cut the mustard, each offering a well made latex mattress with excellent reviews to boot. Latex is prone to packing down and lasts forever, too, so if you tend to stick with a mattress for awhile, a latex bed is likely your best choice. Look for all natural latex in our list, too, to get the naturally anti-bacterial, anti-fungal, and anti-dust mite qualities only latex can offer! Marc Anderson, our CEO and editor, has picked his favorite latex mattresses from available through Amazon. As a mattress engineer and designer, Marc Anderson, the CEO and founder of The Mattress Buyer Guide, spent decades constantly improving and reinventing the perfect mattress. “I always found that a combination of pocketed coils and the buoyant, lively support and comfort of latex made the perfect cake recipe for the ultimate mattress”, he is quoted as saying. Pocketed coils are like piano keys, providing pinpoint support that allows pressure point relief to target focused areas. Also, incorporating latex provides a degree of springy and responsive comfort that is great for side sleepers and back sleepers alike. Coils by themselves, especially the typical steel spring assemblies built into the old school innerspring beds of days gone by, don’t offer anywhere near the comfort and support of individual pocketed coils. 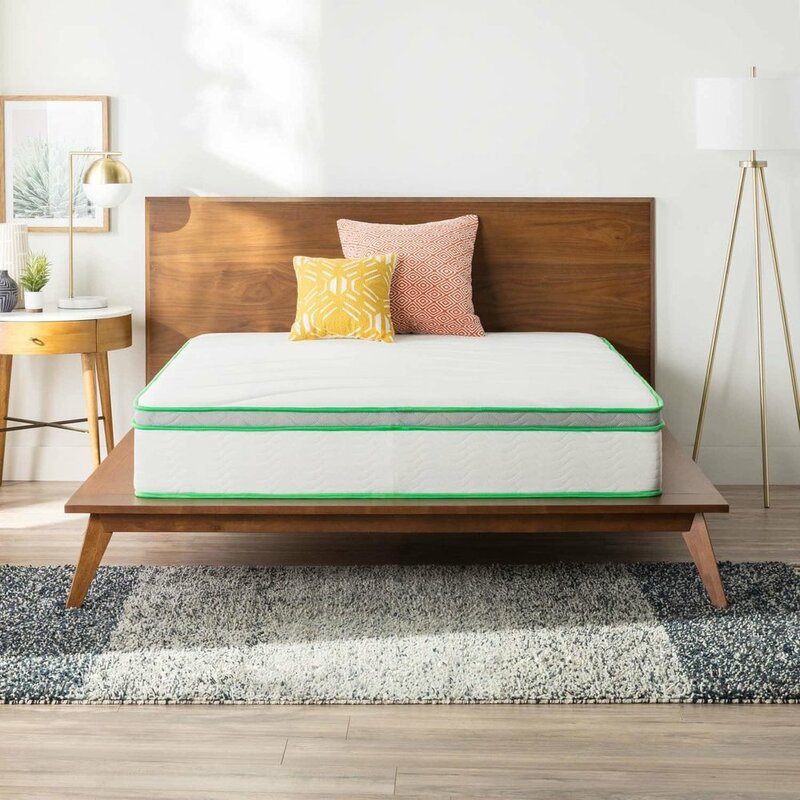 It’s important to buy a pocketed coil hybrid that is built using the right foundation or support foam layer, too, as it provides the platform upon which the rest of the mattress is built, and contributes to support and motion transfer. We’ve made it easy for you , by limiting your choice to just a few outstanding pocketed coil hybrids found exclusively on Amazon.